A Royal Baby (Bottom) - What Would Kate Do? 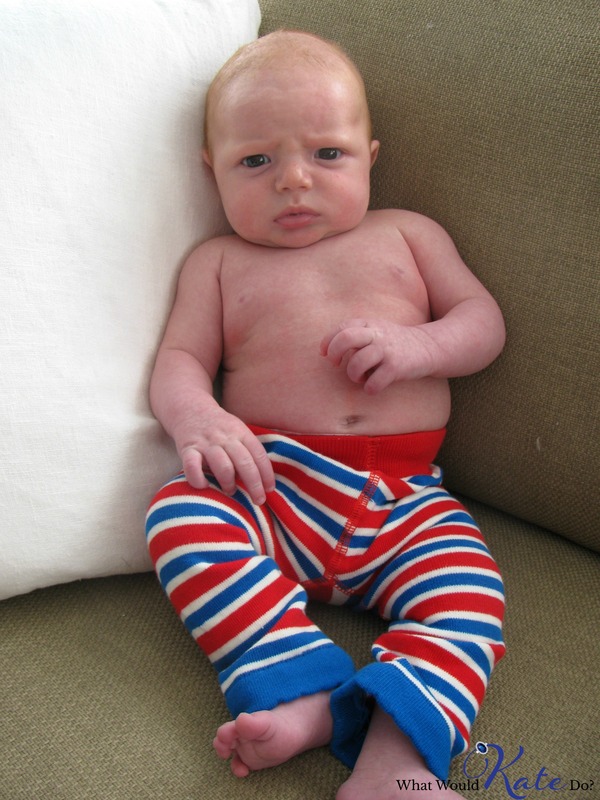 A few months ago, I noticed a trend of babies wearing Union Jack themed leggings popping up all over my Instagram feeds. Where were these little people getting such cool leggings? Turns out they were even cooler than I thought when I managed to track the Blade and Rose pair down – they were not just in Union Jack colors, but were emblazoned with a crown on the bottom! Perfect for a royal baby, no? Of course, the WWKD baby needed a pair. And a photoshoot demonstrating just how adorable they really are. Definitely something I would recommend as the perfect gift to – or from – a royal fan. The leggings are super high quality, stretchy and comfortable… And only £10. 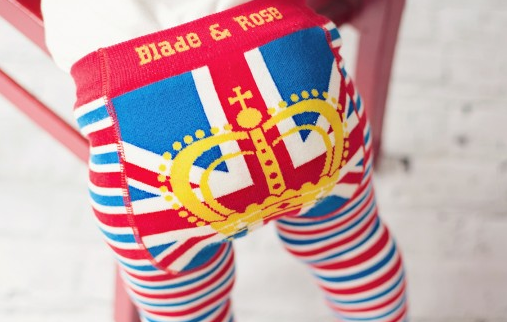 (Adorable baby not included) Kate would certainly enjoy the wit behind these leggings – and supporting a British company! There are several other motifs of the leggings available from Blade & Rose – be sure to check them out!